Needless to say, this will include Mortal Kombat 11 gameplay, as well as a roster reveal and more. When they do, they will receive access to the March 28, 2019 beta. Prior to that, we got Mortal Kombat Vs. DC Universe, which didn't technically feature any guest characters, but was chock full of DC superheroes, from Batman to Captain Marvel. For the superfans, there's also a $99 Kollector's Edition with a steelbook case and Scorpion cowl-and-mask bust. A number of Mortal Kombat 11 characters were unveiled. 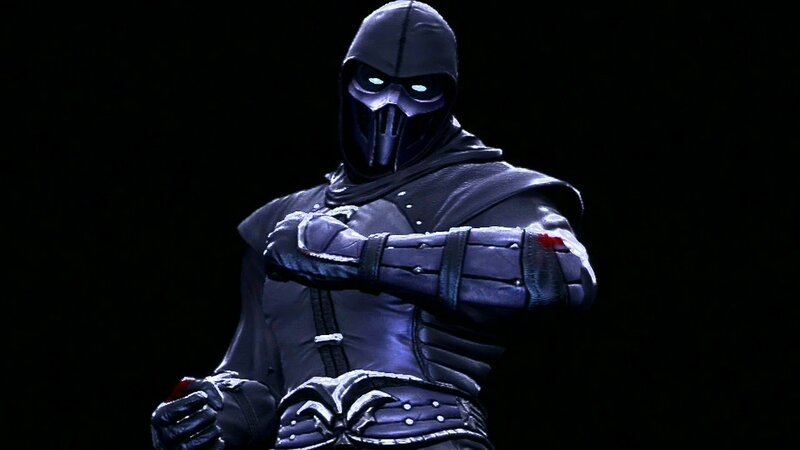 On display in the presentation were the returning Sub-Zero, Scorpion, Raiden, and Sonya Blade. Her servant, Geras, is a new playable fighter. A Fatality reel showcased a snippet of each fighter's new finishing move, such as Sub-Zero decapitating someone with an ice blade and then freezing their head and crushing it into dust, Sonya shooting her opponent into rotating helicopter blades, and new boy Geras' time traveling finisher. Livestreamed to a global audience, the experiential, community celebration featured multiple reveals, including an appearance by UFC champion, Olympic medalist and WWE superstar, Ronda Rousey, who was announced as the voice of Sonya Blade. Here is the story prologue trailer, which introduces Kronika at the very end. Moreover, it's worth noting to pre-order if you want to get Shao Kahn for free, but he will likely also be available as purchasable DLC after Mortal Kombat 11 comes out. Baraka takes on Scorpion in the latest Mortal Kombat. We have yet to see other staples such as Jax, Reptile, Quan Chi, or Kung Lao, as well as numerous more prominent new characters from Mortal Kombat X like Jackie Cage, Kung Jin, Takashi Takeda, and D'Vorah, but there's quite some time between now and the game's release.